Visitors and delivery drivers need to know how to access your building. Where should a visitor park, what entrance should they go to, where is the shipping and receiving area? The more obvious these things are, the better for your business. If you need signs to make your parking situation clearer or better direct people where to go, April Graphics in Maple Grove is here for you. We have been in the sign business since 1980, and in that time we’ve helped customers throughout the Minneapolis-St. Paul metro area with all of their sign needs. With so many shared parking facilities and loading areas in buildings around our communities, it’s no wonder that getting from Point A to Point B seems to keep getting harder. If your customers can’t find a place to park, they might be frustrated with your business even though they haven’t even walked in the door. Clear, well-placed signs can help alleviate that problem. April Graphics can custom-design parking and directional signs that guide people to where they need to be. 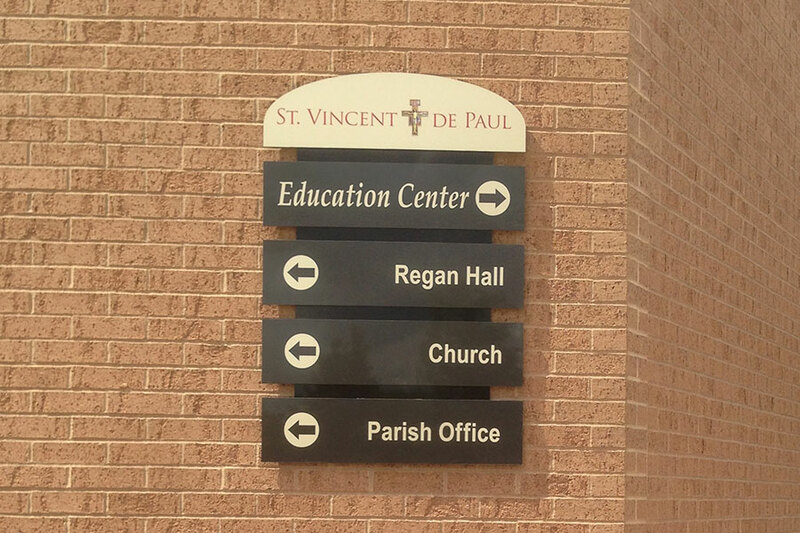 Our building signs are practical and stylish, and can be made from a variety of durable materials that will stand up to the tough Minnesota weather. Something so simple can make a huge difference with your customers. When you need to tell your customers where to turn, all you need to do is turn to the Maple Grove-based team at April Graphics. We offer free quotes, and we’ll take the time to understand what’s unique about your situation and how we can best serve you. Call 763-425-7446 or fill out the contact form on the right side on this page to get the process started.